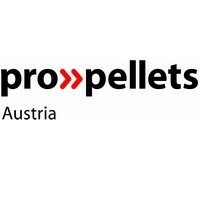 ProPellets Austria was founded in 2005 as an association from companies along the value creation chain of wood pellets: pellet producers and traders as well as pellet boiler and stove producers. These different interest groups united in one association, and the number of members has grown to 55. The aim of proPellets Austria is to facilitate the pellet sector in Austria and to inform media and policy makers about the advantages of pellet heating. proPellets is also monitoring the market development, publishing monthly price surveys and offering advice to new companies entering the market. ProPellets runs a small office in Wolfsgraben, close to Vienna, with a staff of three persons. Christian Rakos is the executive manager. The management board has eleven members, 5 pellet producers, 2 pellet traders and 4 stove and boiler manufacturers. Quarterly we hold open association meetings (forum) to report and discuss upcoming issues. As national licenser for ENplus proPellets is managing the system ENplus. International cooperation ProPellets Austria is a foundation member of the European Pellet council EPC, an umbrella association of national pellet associations with the headquarter in Brussels, organized within AEBIOM. Christan Rakos is its president since the foundation in 2010. AEBIOM/EPC is the owner of the licence of the ENplus trademark and enables national associations to pass the ENplus licence to qualifying enterprises. ProPellets Austria is also member of the European Biomass Association and of the World Bioenergy Association.